Ayurveda is a complex system of traditional medicine native to the Indian subcontinent that has roots stretching back 5000 years. The goal of Ayurveda treatment is to maintain the health of a healthy person and heal the illness of a sick person. Ayurveda emphasizes more on prevention of diseases rather than its cure. The ayurvedic treatment is given not only for the ailments or the affected parts, but to the person as a whole. This creates an environment for purifying the body naturally, which eliminates all toxic imbalances, enabling to regain natural resistance from diseases and attain good health. History shows us that while the West was still developing, India was already a developed civilization. Ayurveda developed and gained popularity in this brilliant ancient culture, doctors here knew how to sew wounds, drain fluids, remove kidney stones, perform basic surgery, and treat numerous ailments and all this is documented in the Susrutha Samhita, the oldest known surgical text. Then along came Western allopathic medicine, they identified viruses and bacteria and genes and offered the humankind with quick fix solution for ailments and ills and Ayurveda was left behind. But in recent times Ayurveda has again gained huge popularity all across the globe as people are realising the side effects and the problems that are associated with allopathic medicines. Though there are many articles and write ups denouncing ayurvedic medicine and citing the ill effects of it the truth is that - Ayurveda practised in its true form can do no harm. One has to know that everything herbal is not Ayurveda, only those which follows texts written thousands of years ago and manufacture the ayurvedic medicines as per the guidelines that are prescribed are true to the tenants of Ayurveda. The Ayurveda philosophy believes that treatment varies according to individual constitution. Ayurveda holds that each human possesses a unique combination of Doshas as the ratio varies from person to person. A few ayurvedic medicines do use herbo-mineral compounds, however ethical manufacturers do make sure that these are processed and purified as mentioned in the texts. In majority of the ayurvedic medicines metals are never added rather it is organic herbs that are given prevalence. Ayurveda is an ancient system that includes medicines, meditation, exercise and dietary guidelines practiced by millions of adherents on the Indian subcontinent and increasingly in the West. Ayurvedic treatment is non-invasive and non-toxic, so it can be used safely as an alternative therapy or alongside conventional therapies. Overall, Ayurveda is not only treatment but a way of life. It does not only prescribe ayurvedic medicines for an ailment rather it uses herbs, herbal-mineral combination, massage, meditation and yoga. It emphasizes on physical, mental and spiritual well-being and this itself is enough to prove that any treatment process that is based on organic herbs and yoga and meditation cannot have harmful side effects. Moreover, Ayurveda gives you an in-depth knowledge of life and helps achieve - dharm, arth, kama and moksha. One must keep in mind to always go to a reputed ayurvedic practitioner or always buy the ayurvedic medicines of a reputed brand. Kairali Group has four generations of expertise in Ayurvedic medicine and it formulates the most authentic treatments using natural ingredients. All the ayurvedic products are manufactured using completely organic and natural ingredients and under strict supervision of Kairali’s own staff there is no threat of side effects or toxicity. Kairali’s state of art manufacturing facility at Tamil Nadu and Bangalore are equipped in the most up-to-date manner and follows very high standard of quality control system. 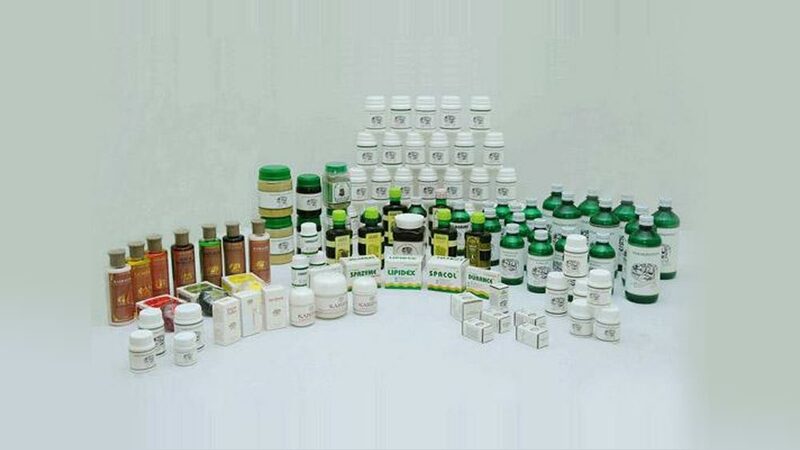 Each ayurvedic product is a result of in depth research, a number of quality control checks and meticulous work of a highly skilled and dedicated work force. Due to a combination of all these factors Kairali ayurvedic products uphold such a standard that ayurveda has never seen.